As part of Network Rail’s electrification works, the line between Dunblane and Larbert will be closed from Sunday, 14 October until Sunday, 21 October. The line will reopen for business on the morning of Monday, 22 October. 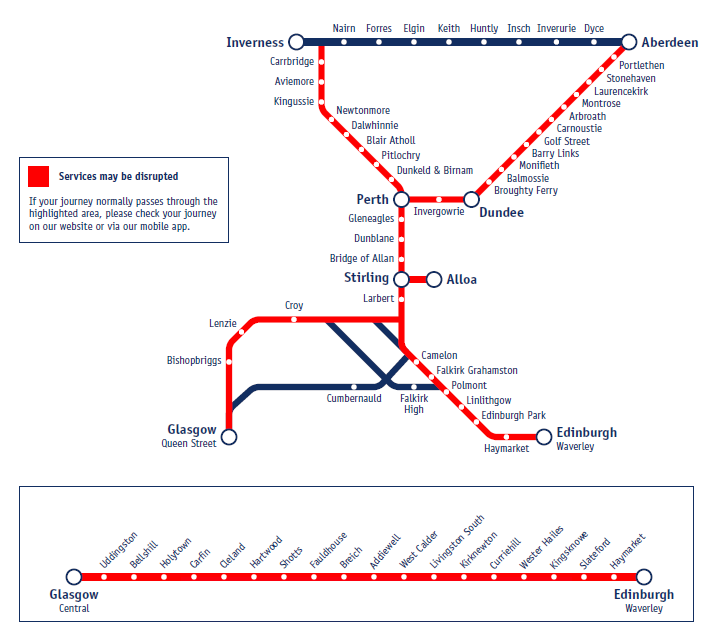 From 14 October 2018 until 21 October 2018, trains operate between Perth and Aberdeen, with replacement buses running between Perth and Falkirk Grahamston. Direct buses will also operate between Glasgow and Perth, calling at Stirling.